It really is a crime that we don't get to see many space-based science fiction films being made these days. Sure, we've seen some lately with the likes of Prometheus, Gravity, and Interstellar (all three were phenomenal by the way), but we need more. Thankfully, until Hollywood decides to step up its game, we have small film outfits and independent filmmakers to entertain and awe us. Independent artists like Erik Wernquist, a digital artist and animator from Stockholm, Sweden. 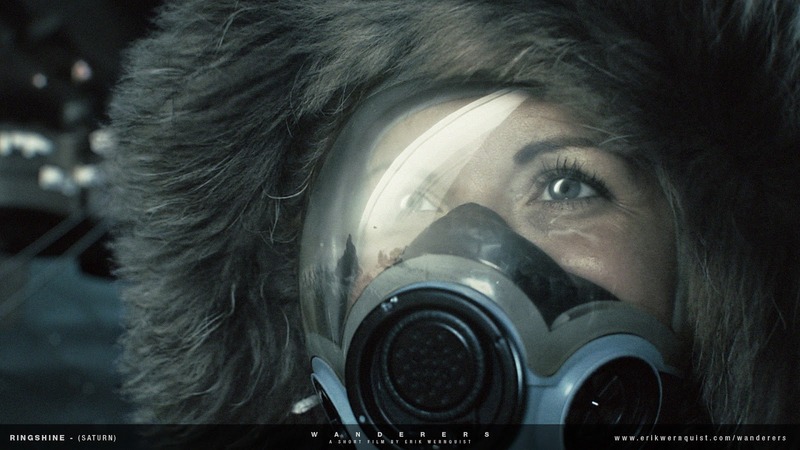 Wernquist's most recent project is a short science fiction film about the possibilities of space travel called Wanderers. The four-minute piece is beautiful. Perfect even. The visuals by Wernquist are crisp, fluid, and surreal. Accompanying the flow of the creatively-executed scenes are the words and voice of the late Carl Sagan and the music of Cristian Sandquist. The audio of Carl Sagan used in the film was taken from a reading of his best-selling book Pale Blue Dot: A Vision of the Human Future in Space which was published in 1994. Sagan's voice alone will give you chills.